“You need a plan B,” said Alicia’s mother when at five years old she told her what she wanted to be when she grew up. Thirty odd years later, Alicia is on plan D: sharing a flat, no tangible savings, and working for hateful Julia, whose sole purpose in life is to make her existence utterly miserable. Good thing she has Oscar and the girls to make the long hours at work bearable. But when a series of events tears the close-knit group apart, putting friendships and motives under suspicion, will Alicia be able to restore balance and set things right? More importantly, will she ever be able to upgrade her life to at least plan C? ← The Field of Difference. Missy Talk A Lot’s Fourth Diary Entry. The New Girl. 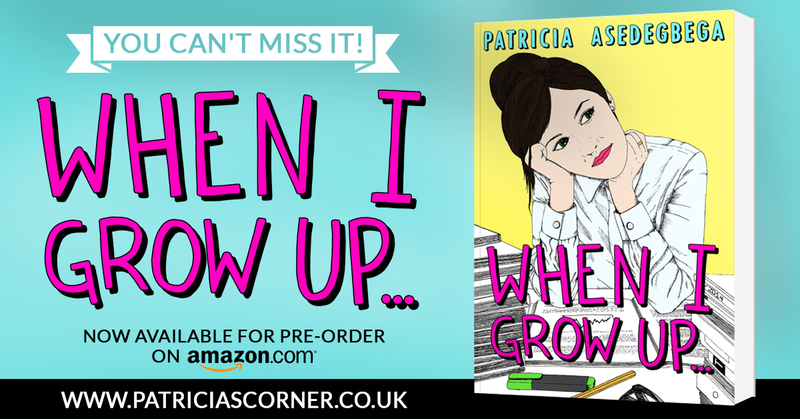 My pleasure, I can’t wait to read your book… 🙂 I’m sure it will be liked Hun..
Hi Patricia, sounds like a great read and i can sympathise with a character who is on plan ‘D’ 😉 Look forward to reading it and thanks to Katie for sharing the news! Thanks, Me too, can’t wait to read it.. Thanks a lot. I do hope it is liked. I can´t wait to hear opinions as it is quite different from my last book. I think a lot of us can relate to Alicia´s plan “D”. Will she be able to climb up the ladder? I think it is a book that will keep the reader guessing till the end. Can´t wait to know whether it is liked or not. Thanks for your encouragement.